SOLIDWORKS Premium is the flagship 3D CAD offering from SOLIDWORKS. 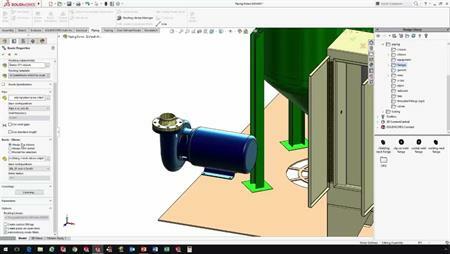 It's built on the functionality of SOLIDWORKS Professional but includes additional features for structural validation, kinematic motion testing, tolerance stack analysis, electrical and mechanical wire and pipe routing. It also has the capabilities to import scan data such as mesh and point cloud files.